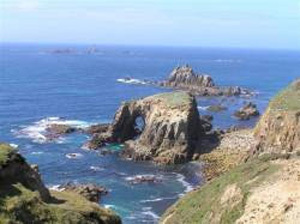 Two Holiday Bungalows at Sennen - Land's End with Lovely views of the sea and countryside! 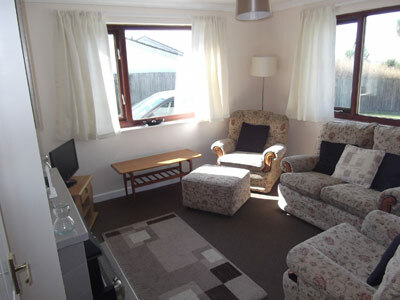 Mariners is a spacious bungalow and as you enter through the front door all the rooms lead off from the hallway. 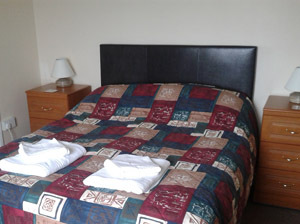 The front double bedroom has an en-suite bathroom leading from it which has a shower over the bath, basin and toilet. The twin bedded room at the rear has an en-suite shower room and looks out over fields and countryside. 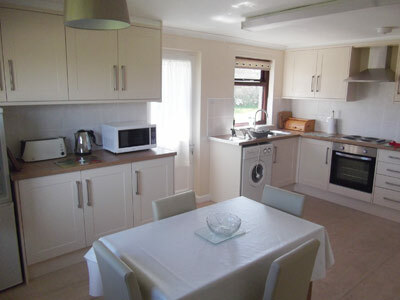 The kitchen/diner with table and chairs at the dining end and a fully equipped kitchen area at the other with washing machine, cooker, microwave and fridge/freezer and there is a separate lounge with TV and comfortable furnishings. Wayfarers has steps up to the raised garden and front door which opens into a light and airy entrance hall. 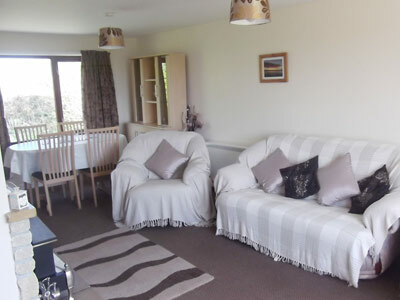 On the right as you enter is a lovely spacious lounge/dining room which is comfortably furnished and has a TV and usually some books and card games. 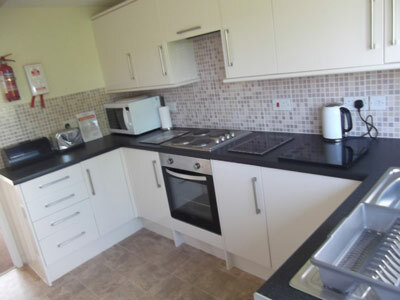 Directly opposite the front door is a fully fitted kitchen, equipped with cooker, microwave, washing machine, fridge and freezer. The bathroom has a shower over the bath, toilet and basin and is adjacent to the two bedrooms, a double at the front and a twin bedded room at the rear.